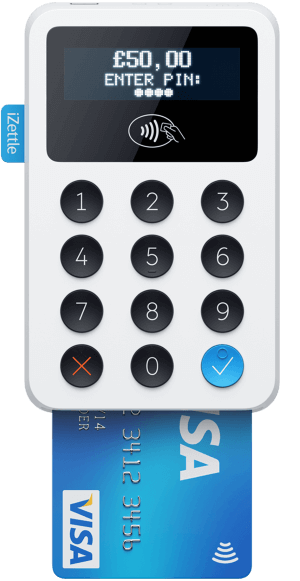 Looking for a cheap way to start accepting credit card payments in person? Then have a look at the following 6 cheap mobile credit card payment machines. Keep reading for more on each machine. Transaction Fees: 1.75% per transaction for credit and debit cards. Accept chip and PIN cards, contactless cards and devices with Apple Pay and Android Pay. Connects wirelessly to iOS or Android devices. Get your money in your bank account as soon as the next business day. Transaction Fees: 1.69% per transaction for credit and debit cards. Transaction Fees: 2.75% – 1.00% depending on transaction volume for both credit and debit cards. Accept all types of payments, cards or contactless, including Apple Pay and Android Pay. Transaction Fees: Varies between 1.7% and 1.5% + 0p (requires a Shopify account with monthly fees between $29 and $299 per month). Transaction Fees: 2.60% for debit and credit cards. What is the cheapest credit card machine for small businesses in the UK? 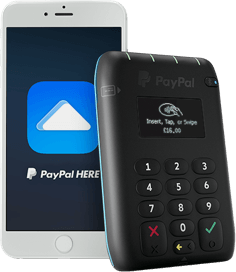 Currently the cheapest credit card machines in the UK, in terms of upfront cost, is the iZettle reader which costs just £19 + VAT. It also offers extremely competitive card transaction fees (1.75% flat fee), but not the absolute lowest. To to get that you either have to go SumUp (1.69% flat fee) or PyaPal Here (as low as 1.00%). However, please keep in mind that while the upfront cost for all the machines here is far lower than traditional Credit Card/PDQ Machines, the transaction fees are far higher. This is due to the fact they charge credit card and debit cards the same fee. You can compare these fees by clicking here. 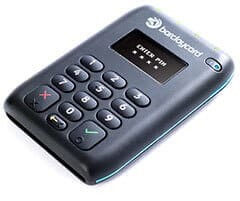 What is the best card reader for small businesses in the UK? 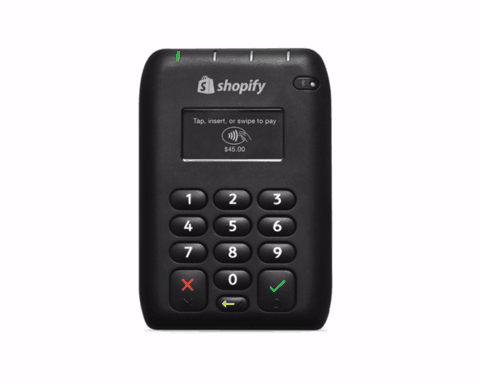 While all of the 6 machines listed above are great and allow your small business to accept card payments, the iZettle card reader is probably the best choice. Not only is it the best known, but at only £19 + VAT it’s very cheap to try out. Plus they offer very transparent pricing and among the lowest fees. However, if you’re processing more than £2,000 worth of card payments a month, you should probably also consider looking at more traditional machines which offer lower fees. You can get started by clicking here. Please note: We have affiliate agreements with iZettle, Sqaure, SumUp, Shopify and Amazon. This means if you purchase anything from those sites via our links we will earn a commission, at no cost to you. In a few cases we have even negotiated special lower prices. We may also be paid a fee if you get a quote via the Expert Market form at the top of this page.